Come and discover top dogs, curious cats and slithering snakes as Smithfield Square is transformed into a pet lovers paradise! The annual Pets in the City, brought to you by Dublin City Council and supported by the DSPCA and King of Paws, will take place on Sunday 19th May 2019 in Smithfield Square, Dublin 7. This free, family friendly event promises to be a great day out for animal lovers living in the city with a wide range of activities, stalls and entertainment. The DSPCA King of Paws Training Team will host Dog Agility Workshops and Scruffs Dog Show, where members of the public are invited to enter their own furry friends. Pet enthusiasts can expect a range of stalls offering great deals on all kinds of animal accessories, grooming products, toys and novelty items as well as the opportunity to avail of micro-chipping and pet health advice from the DSPCA. (To avail of micro-chipping you must bring ID and proof of address i.e. utility bill). A reptile corner and a small animal farm will give visitors the opportunity to interact with, and learn about, all kinds of animals. 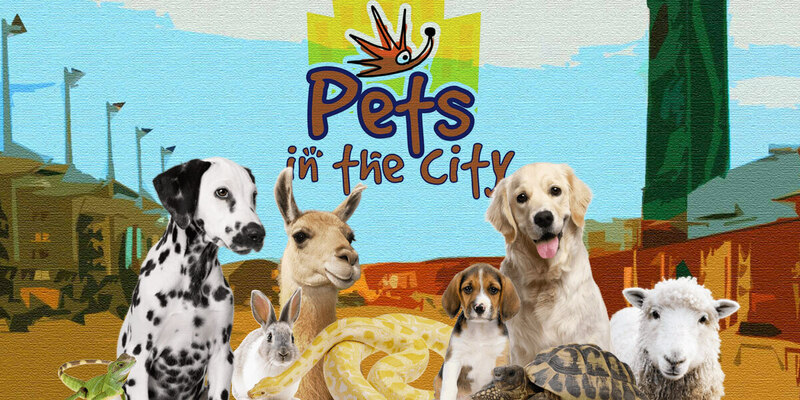 Pets in the City is a fantastic day out and offers families the opportunity to bring their pets into the city for a fun and interactive event. Last year, over 5,000 pet lovers attended the activities on Smithfield Square. Pets in the City is brought to you by Dublin City Council and is supported by the DSPCA and King of Paws.